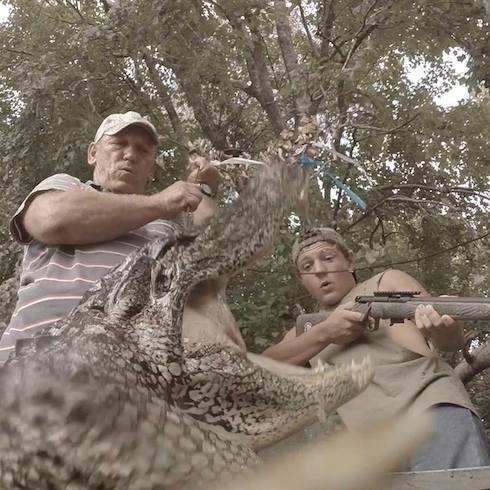 History Channel’s life-or-death alligator hunting reality series Swamp People is one of those rare reality show success stories that doesn’t depend on drama, whether it was on screen or off. But, after History Channel overhauled the cast for the upcoming seventh season, some of those who were told they are not returning are expressing their anger and frustration online, apparently against the network’s demands! I see a bunch of posts saying that a certain family was saying that we asked for more money and that’s why we are not on the show anymore. To clear up gossip and BS. We never asked for anything. Only communication we had with the production company was when we were told that we would not be on the show any more. We have made our living off the bayou all our lives. We don’t need a camera stuck in our faces to do that like some people. Not sure about all the comments going around about certain cast members being cut from the show but as for as the Landry family, we will be filming in just a few short weeks for season 7! We were told there would be some changes but they could not say who or what. Unfortunately we do not have a say so in who is on the show but we will voice our opinions to the higher ups Thanks to everyone who is a fan of the show and please be patient to see how it all pans out. The frustrated comments riled the feathers of not only the fans of the show, but apparently the show producers as well. According to Liz, they demanded the posts about the firings be taken down! 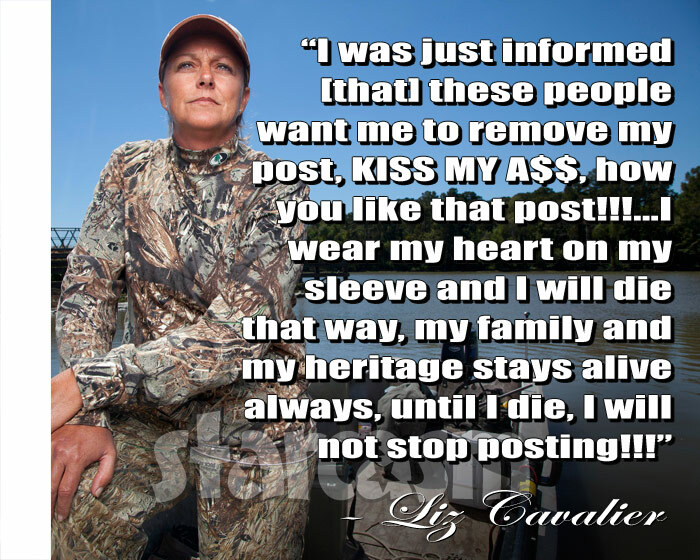 As you might imagine, Gator Queen Liz was not about to back down! Hello everyone, I was just informed from these people want me to remove my post, KISS MY A$$, how you like that post!!! I was told they had a lot of nasty phone call and complaints, well these people call this business, well I’m different, I wear my heart on my sleeve and I will die that way, my family and my heritage stays alive always, until I die, I will not stop posting !! !And I support Louisiana 100 percent, rather keep my pride than sell my soul to the devil! Liz and I would like to hear what the fans opinion is on this. We were advised by a certain two companies that I will not name, to delete our posts from our pages and not to comment on any of this anymore. Please let me hear your thoughts on this. We always put our friends, family, and even strangers first. I believe we have the right to tell everyone the truth. What do you think. 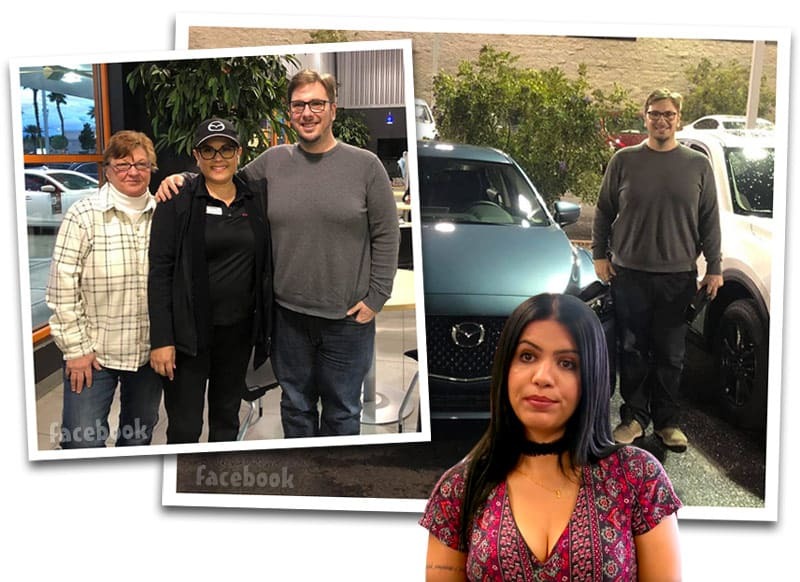 Let us know what y’all think about Liz an Justin being told to remove their post off of facebook. well david and I are with Justin and Liz. 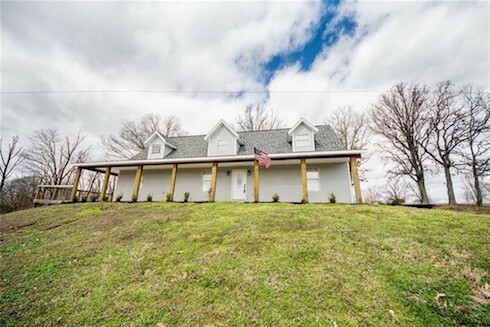 What do y’all think? 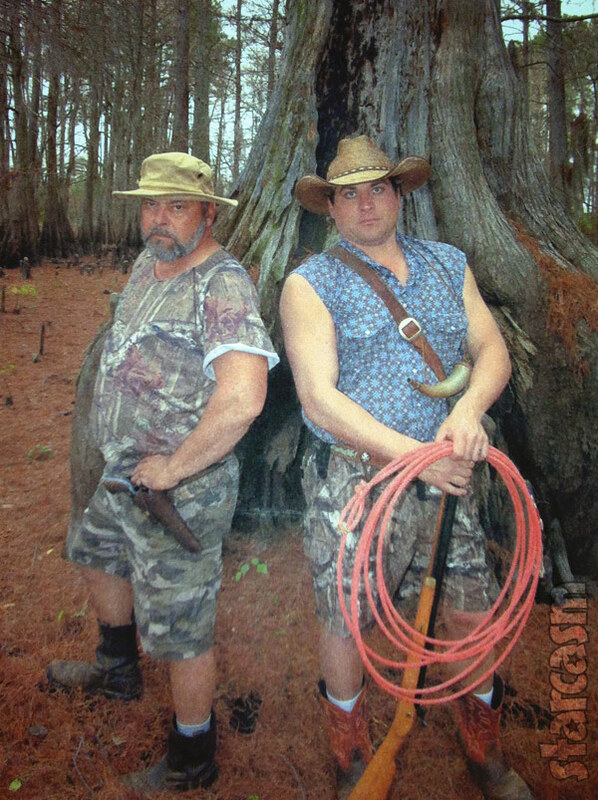 Upset fans of Jeromy and David even started an online petition at Change.org asking for the return of the duo to Swamp People. At the time of this post it already has more than 5,300 signatures. Jacob Landry (Swamp People) sorry for all the negative comments being made by fans about our (Gator Queen Liz,Justin Choate,Junior and Willie Edwards ) departure from the show. We have never encouraged any negativity towards your family because we consider y’all our family. We just simply let all our fans know that David and I would no longer be on swamp people. Also, David and I have never made any demands to the network or anyone else for that matter. We want to wish yall luck and continued success with the show. 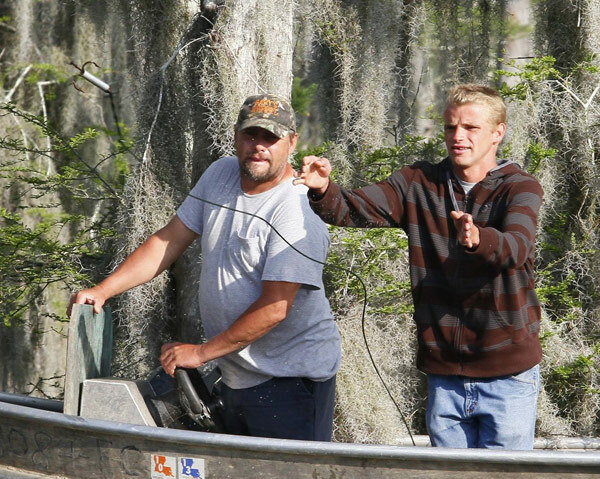 Wish David and I could continue to be apart of the swamp people family! It’s funny how all of us cast members have always said there’s nothing more important than family and a true family sticks together through thick and thin. So, some cast members( and I won’t say who) should practice what we preach and preach what we practice to keep family together! Oh snap! I think History Channel is missing out on an opportunity to launch a Swamp People spin-off series comprised of those cast members who were not asked to return, and that cast could be in competition with those that did return! If that happened, which team would you be on? 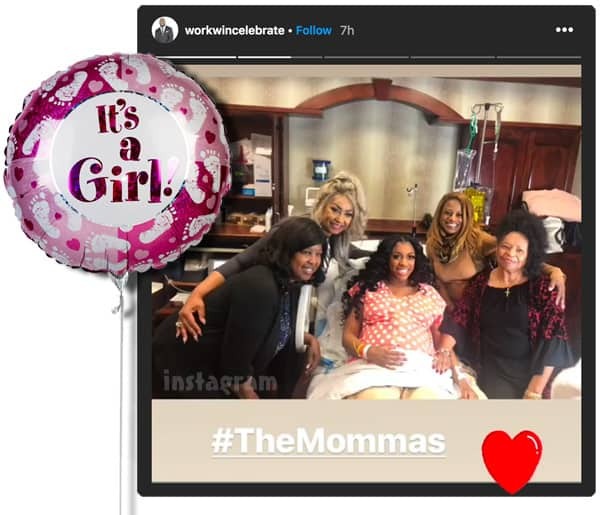 Getting back to the firings… Cast turnover is nothing new in the reality show business, but is certainly sounds like Original Media just did not handle this well. 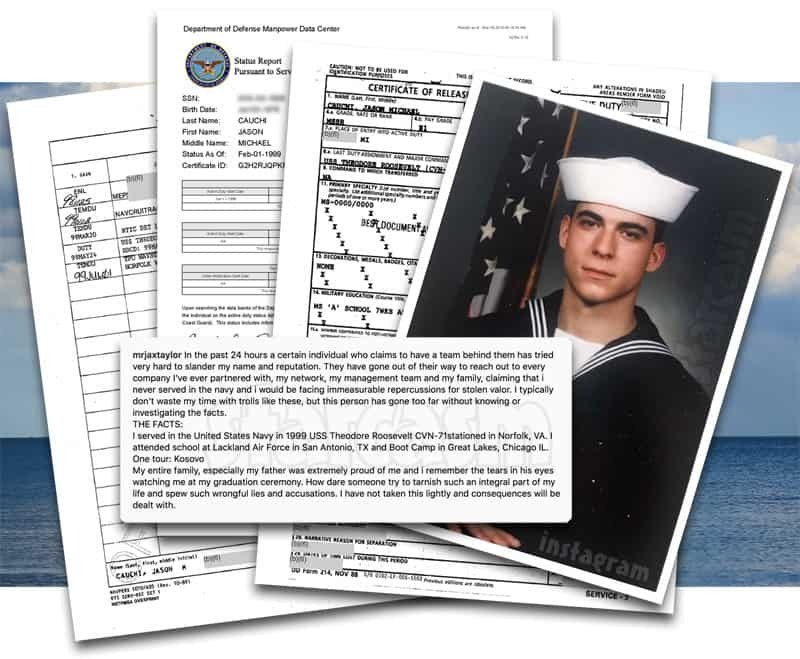 They should have been respectful enough to have a sit down, or at least a lengthy phone conversation, with those not returning to explain their decision. Am I wrong?